I been quite busy haven't had time to bake; not even for the 4th of July :O! 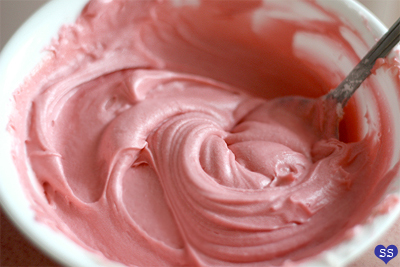 It's been frustrating since I'm bursting with baking project ideas. 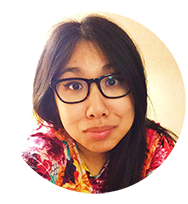 Last week, I decided enough was enough. I was craving cake so I decided to find some time in my schedule to bake one. 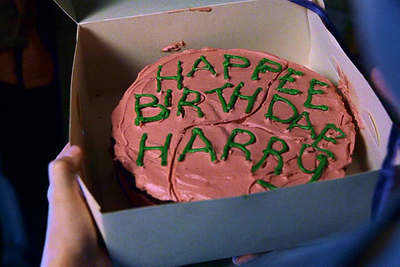 But because, as you all know, I can't just let things be, I took it one step further and decided that I'd make it a chocolate birthday cake, like the one Hagrid gave to Harry when they first met, but uh, much better tasting (remember Hagrid's rock cakes? haha). I tried to keep the appearance much like the one in the movie though: a bit messy, strangely pink and green, and in need of spell check. This cake recipe totally rocks. It's easy to mix together, a one bowl recipe. 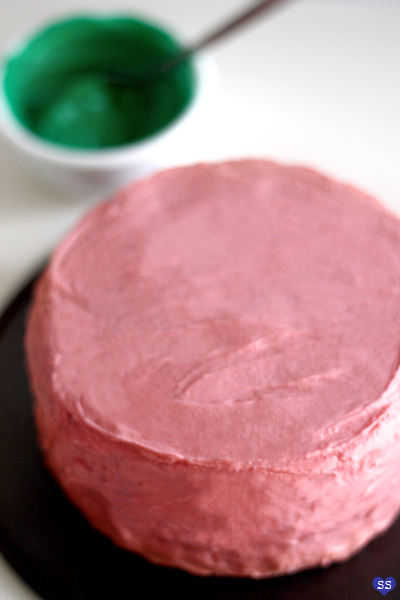 The cake comes out wonderfully moist, and it isn't too sweet, which is good because then it doesn't compete with the frosting and become overwhelming. 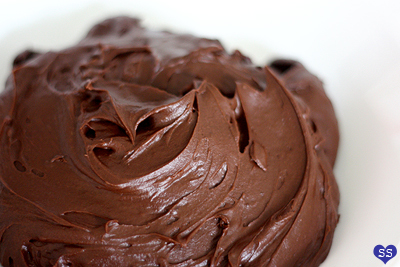 The frosting is also easy to put together and it is perfectly creamy and chocolatey. 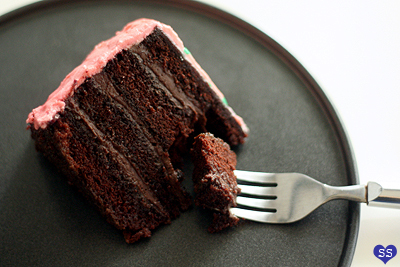 After making this, I've decided that this is now my go-to chocolate cake recipe. 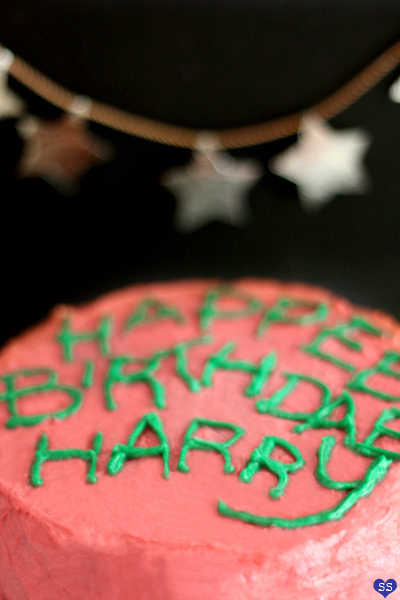 If by chance you're one of THOSE people, who doesn't like Harry Potter, do make the cake anyway, just skip the pink and green frosting.